his pages in the dark . . . Please join us for a night of poems, songs, visions, ravens, gun molls, sorcerers & ‘slingers. 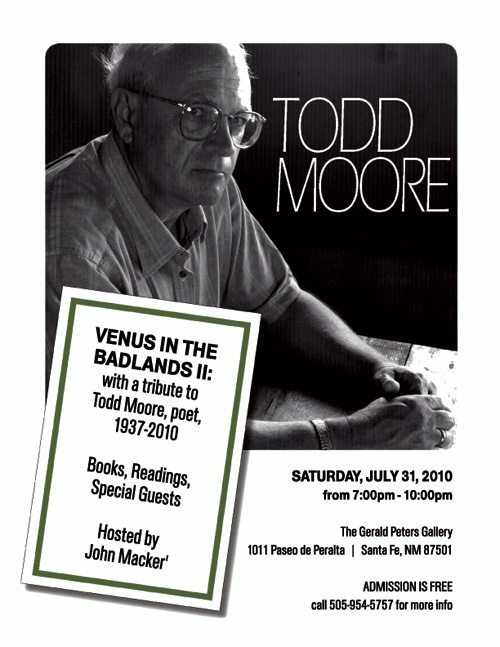 This entry was posted in John Macker, Todd Moore and tagged John Macker, Outlaw Poetry, Poetry, Todd Moore, Tribute to Todd Moore, Venus in the Badlands II by Monsieur K.. Bookmark the permalink.